Microsoft has provided instructions how to download the official .ISO files for Windows 10 32 and 64 bit. Read on for instructions how to download ISO media for Windows 10 Home, Windows 10 Pro and Windows 10 Education. UPDATE: Users attempting to create bootable media using the Media Creation Tool, might encounter error message: 0xC18000116 - 0xA0019. Not much information is given as to why this error is happening, but a Microsoft employee on the Microsoft Community, disclosed, the software firm recently refreshed the Windows 10 ISO media; making it a bit larger than 4.7 Gbs. Users will now have to use either a 8 GB thumb drive or a dual layer DVD to make a bootable copy. If you download a combination of architectures 32 and 64 bit, along with Home and Pro editions, you might need a USB media with 16 GBs of storage. Which version and edition of Windows 10 is available for download? UPDATE: When you use the latest copy of the Media Creation Tool or Microsoft Techbench (linked in this article), it will download Windows 10 build 15063.0. Users have the choice of selecting Home, Pro or both, 32 and 64 bit architectures or both. Can I use my Windows 7, Windows 8, Windows 8.1 product key to install and activate Windows 10? UPDATE: Previously, Windows 7, Windows 8.0 and Windows 8.1 users needed to have either of those versions of Windows installed and activated in order to qualify for the free upgrade offer. For persons who needed to perform a clean install of Windows 10 from the outset, it was a two step process of first validating the machine through the upgrade routine, ensure the Windows 10 Upgrade was activated, then proceed to perform a Reset. Starting with the the Windows 10 November Update (1511) and the Windows 10 Anniversary Update, users no longer have to go through this process. This article discusses multiple ways you can download and create a bootable copy of Windows 10. If you experience difficulties downloading Windows 10 setup files using one method; please scroll down further in this article for instructions how to use an alternative method. This article also contains instructions further down for how to download Windows 10 Education using your issued product key from your institution of higher learning. Click in the list box and select your architecture or choose both if you have a thumb drive big enough (16 GBs recommended), click Next to start the download. If you are using Windows 7 Enterprise, Windows 8.0 Enterprise, Windows 8.1 Enterprise editions, or volume license Windows 7 Professional you won't be able to use the Media Creation Tool to upgrade. If you have a thumb drive with 8 GBs of available space, you can use that to create a bootable copy. Thumb drives are very cheap these days, so pick up a couple and create one as your first backup option. This is especially recommended for persons using Ultrabooks, which do not include optical drives (DVD) or Netbooks. There are some desktop systems that do not include one. If you selected both architectures, choose a thumbdrive that is at least 16 GBs in size. Select the USB thumb drive then click Next. Please note, the contents of the drive will be formatted, if you have any important files, cancel, then back them up. Wait while the install files are downloaded and the bootable copy is created on your USB thumb drive. Click in the list box then select your language then click confirm and wait while the option is validated. Do not refresh the page. Click your desired architecture then click save. Follow the instructions to use either the Microsoft .iso to USB/DVD tool , Rufus or the Disc Image burning utility in Windows 7 or later to prepare the .ISO file. You can also mount the .ISO file in Windows 8 or later then perform an upgrade. After you downloading the Windows 10 ISO, you need prepare it, this is especially important for Windows 7 and earlier versions of Windows. After obtaining the .iso file you can use the built in Disc Image burning tool or Microsoft .iso to USB/DVD tool to create a bootable DVD or USB (requires a blank DVD) or Rufus, a third party program that can create a bootable USB flash stick (requires at least 8 GBs). If you are creating a bootable USB thumb drive, make sure the thumb drive is first formatted as FAT32. Make sure FAT32 is selected as the file system. If your computer is UEFI based, these are normally systems that come pre-loaded with Windows 8 or later, you will need to prepare the ISO file for such a configuration or you will receive an error message during setup. The thumb drive needs to be formatted as FAT32. If you are installing on a hard disks that is 4 TBs or more in size, you need to format the disk using the GPT partitioning scheme. Rufus ensures your copy of Windows 10 is properly prepared to support it. You can download Rufus, for free. After downloading Rufus, connect your thumb drive, launch Rufus application, click in the Device list box then choose your thumb drive. Click in the list box then choose your partition scheme. If you select the ISO, Rufus will automatically select the appropriate options for you. Next, click in the File system list box, then choose FAT32. If your thumb drive is larger than 32 GBs, choose exFAT. Leave the default Cluster size then enter a label for your thumb drive. Click the choose disk image icon, browse to where the ISO file is located, select it then click Open. Click Start to copy the files to the thumb drive. If you have any files on the thumb drive, they will be deleted. Wait while the files are copied to your thumb drive. Open File Explorer, then launch setup to begin the installation. I reserved the upgrade for windows 10 Home and now it's July 29th and I downloaded the ISO but I don't have a product key. I also tested windows 10 earlier this month and the product key was provided. I also read that people who are subscribed to MSDN can get their product keys. I don't want to upgrade my windows 8.1 full I purchased .. instead I downloaded the ISO tool creator for windows 10 home and burned a DVD. Please help, I want to completely format my hard drive after booting to windows 10 home dvd I made and enter product key and start enjoying my favorite windows! Andre, can this Media Creation Tool be used to do the 7/8.1-to-10 free upgrade? When it first runs it has a choice for "Upgrade this PC Now." Can the DVD we burn from the ISO that the Media Creation Tool makes be used to do the free upgrade to Windows 10? Thanks. ...Can the DVD we burn from the ISO that the Media Creation Tool makes be used to do the free upgrade to Windows 10? Thanks. 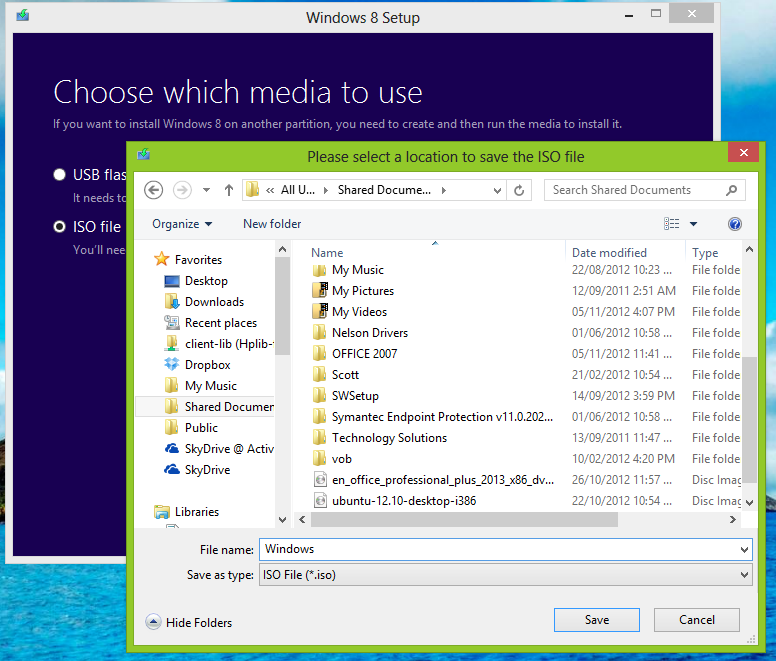 Yes, if you create installation media using the tool, you can use the media to perform the upgrade to Windows 10 as long as you start the upgrade from your current version of Windows. Any chance of the media (USB) either being damaged or not having enough capacity? How will the Windows upgrade site know whether I have Basic or Pro? Unfortunately, there is no reply seems like it unless I am doing something wrong and I am not seeing it. When is Microsoft going to fix the media creation tool so it works properly on international versions of Windows without giving that remarkably unhelpful "Something happened Something happened" error dialogue? And telling us to change our system locale to en-US is NOT a solution.